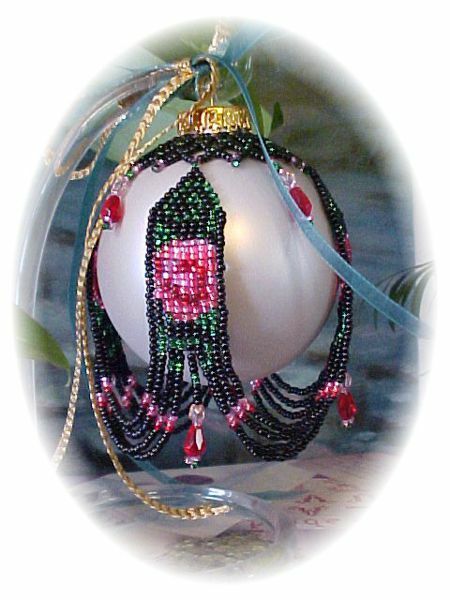 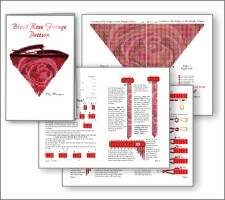 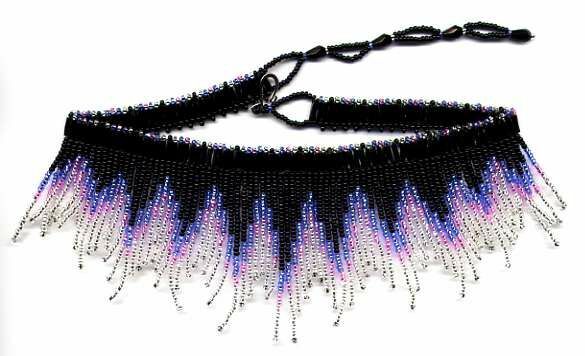 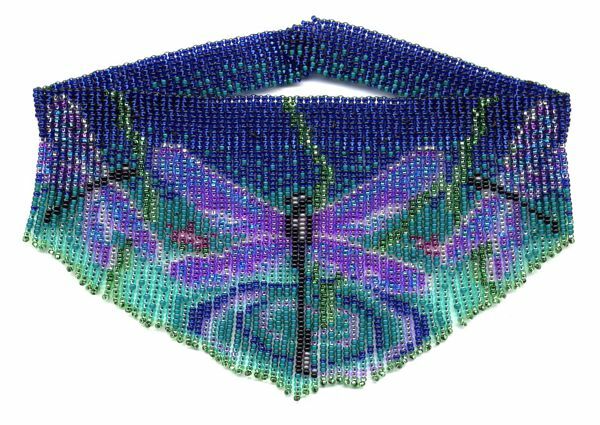 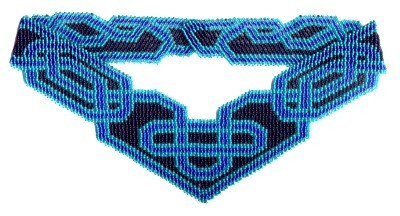 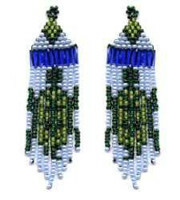 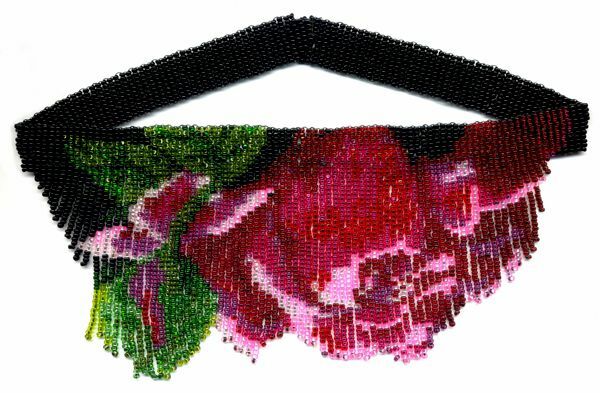 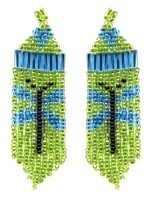 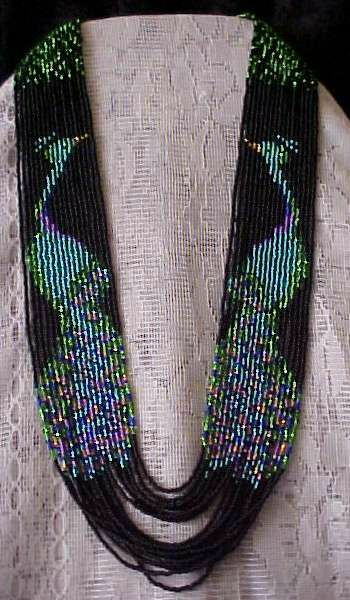 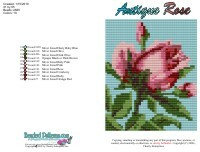 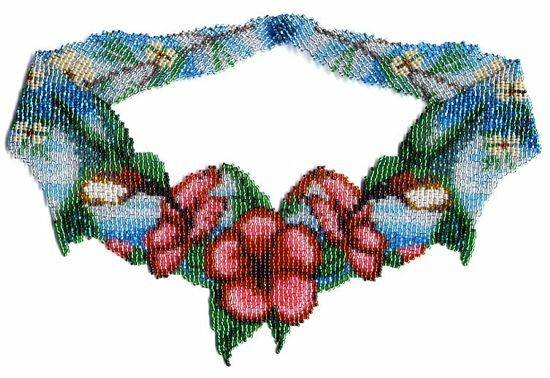 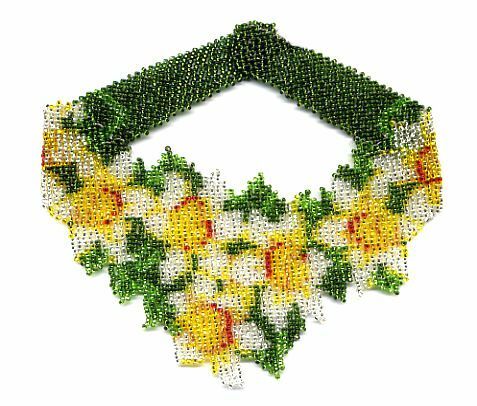 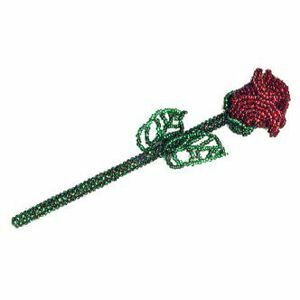 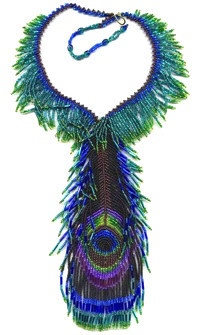 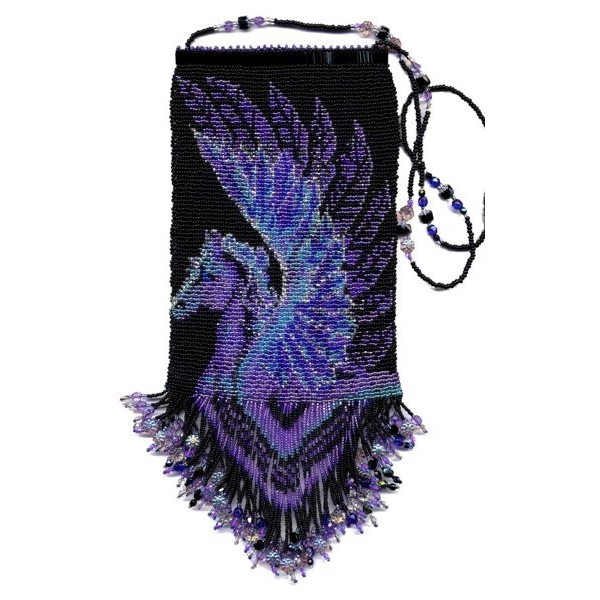 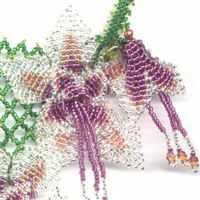 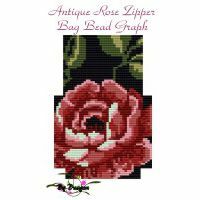 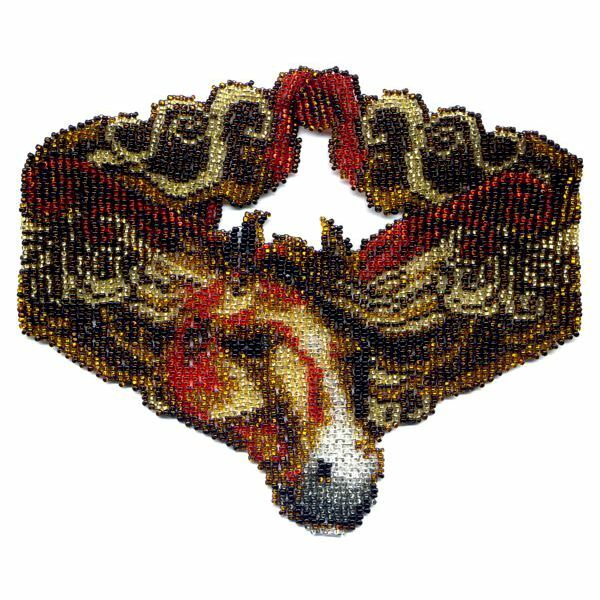 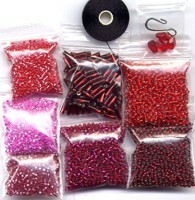 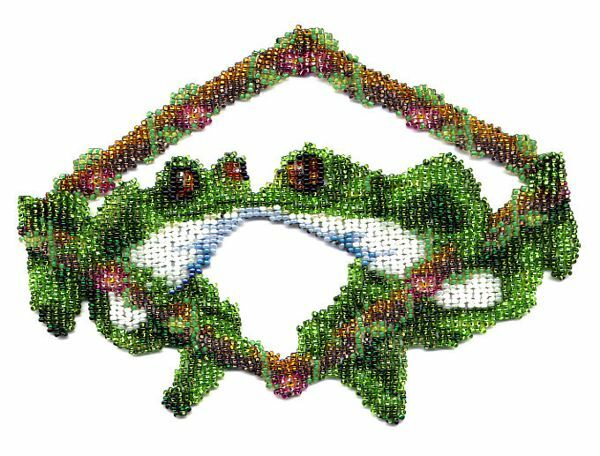 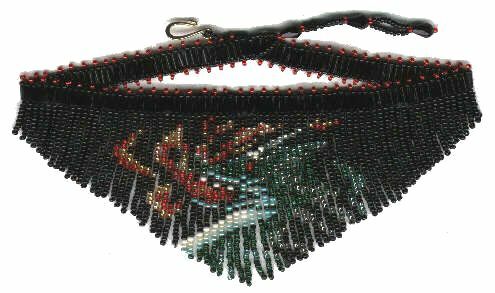 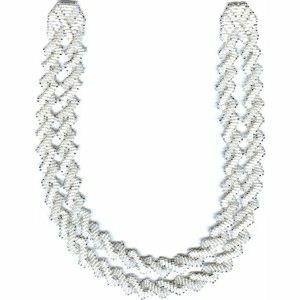 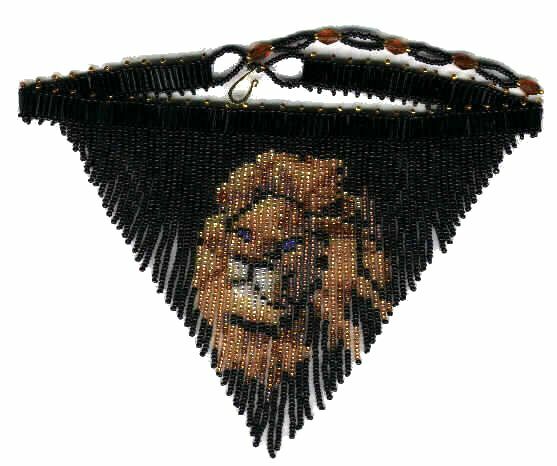 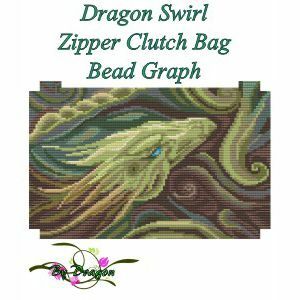 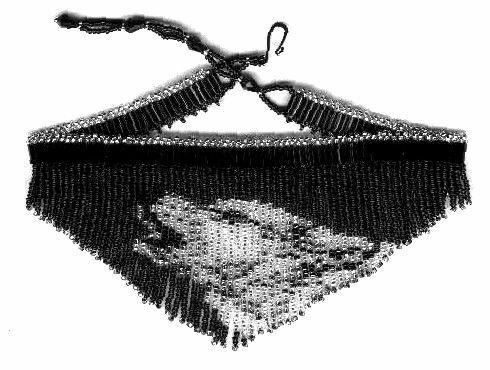 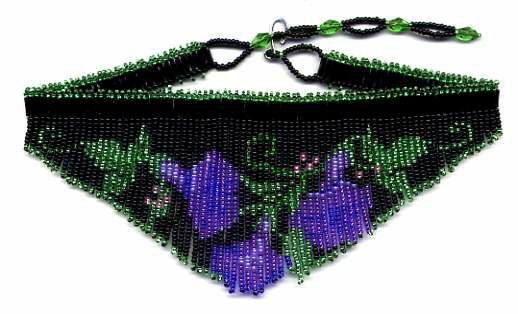 Blood Rose Fringe Necklace : Beading Patterns and kits by Dragon!, The art of beading. 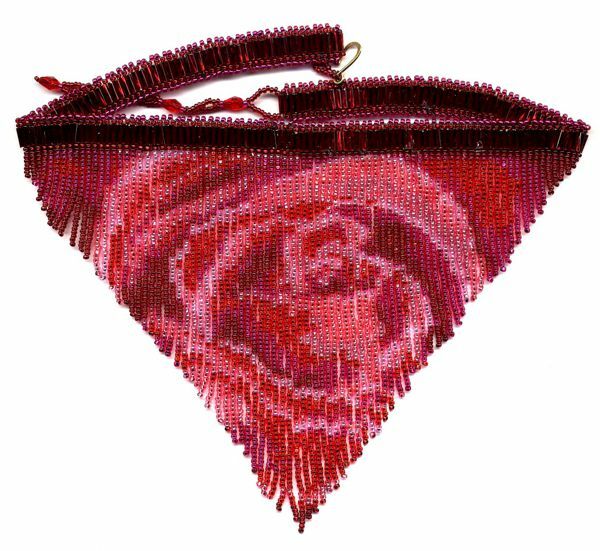 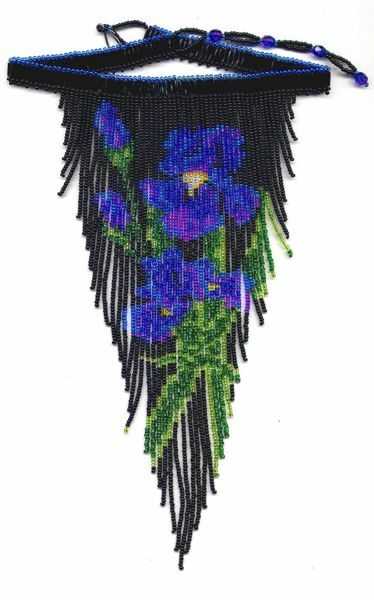 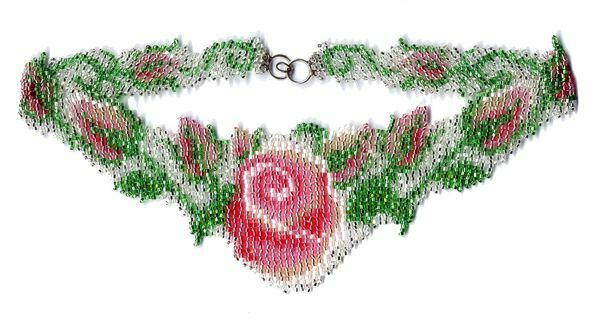 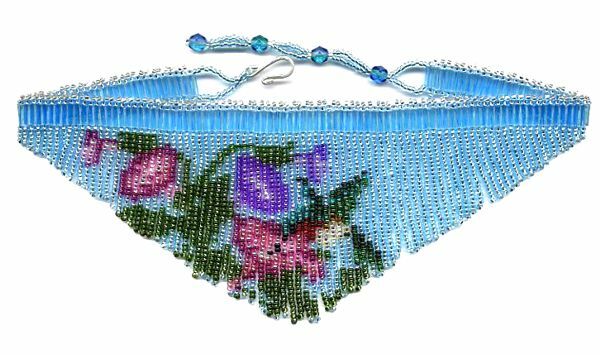 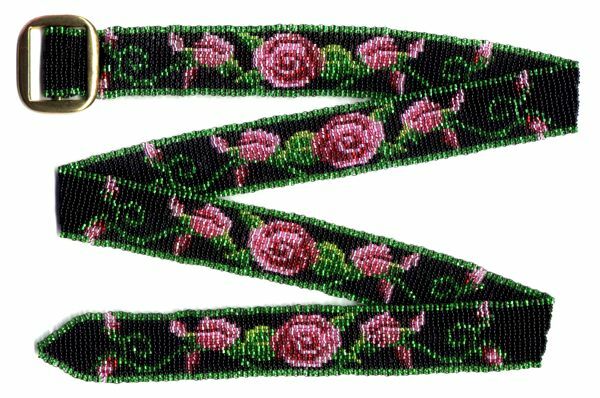 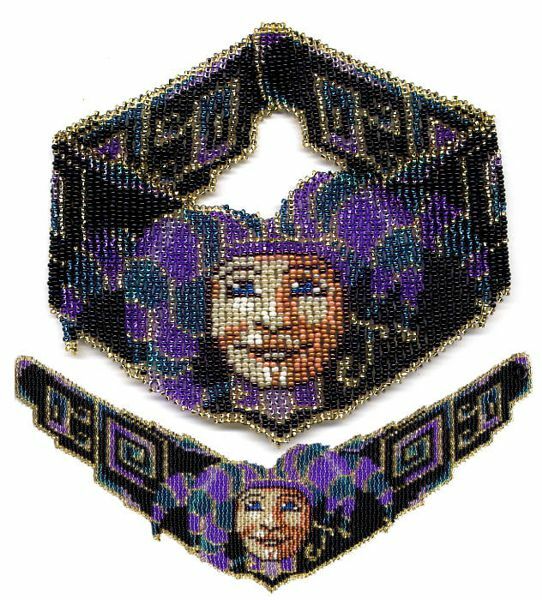 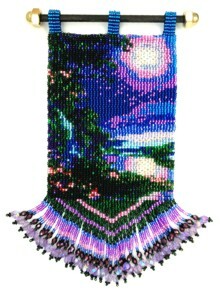 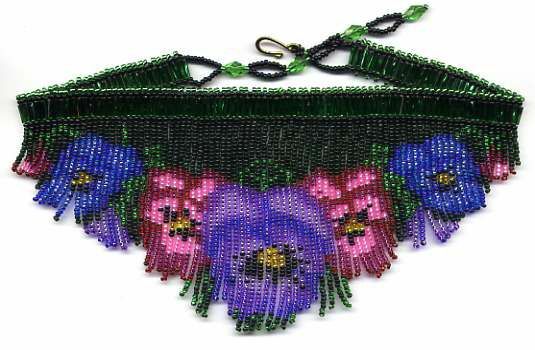 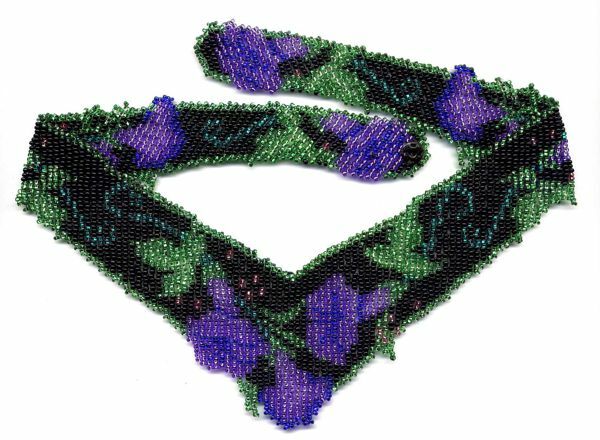 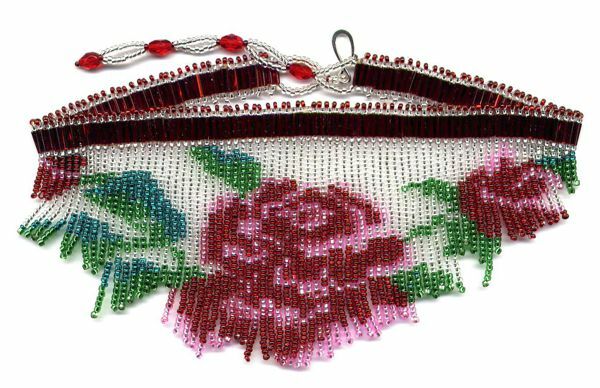 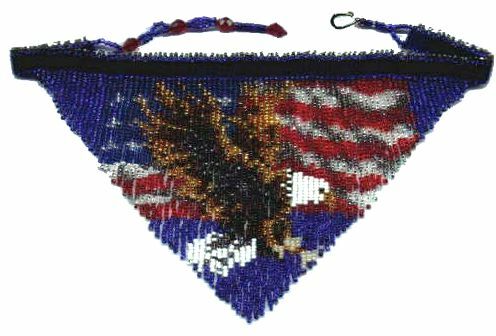 When finished the Beaded Blood Rose Fringe Necklace is about 7 inches wide and 5 and 1/2 inches tall. 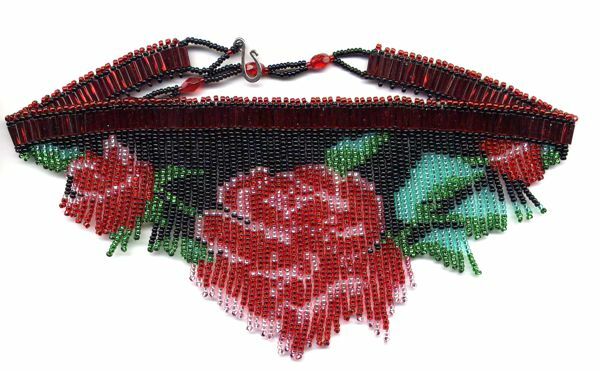 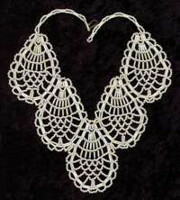 The Blood Rose Fringe Necklace when completed the fringe part is 7 inches wide and 5 and 1/2 inches tall. 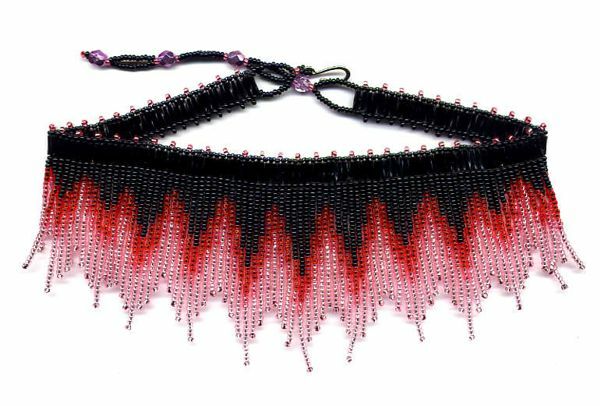 Blood Rose Fringe Necklace E-Pattern! 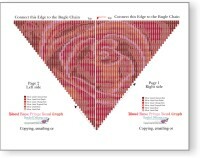 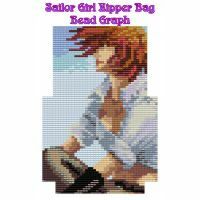 Blood Rose Fringe Necklace E-Bead Graph!